Wisdom teeth are the last teeth to come through the gum in an adult’s mouth. If there is enough room in the mouth, the wisdom teeth will erupt with minor discomfort. 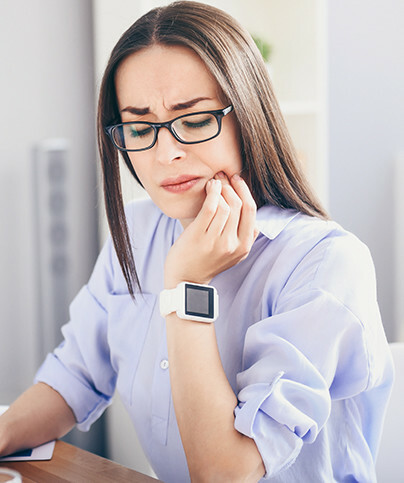 However, wisdom teeth cause problems if there isn’t enough room in the mouth, as the tooth erupts at an angle and gets stuck against the tooth in front, i.e. “Impacted”. When deemed suitable for removal by your dentist, the procedure is often simple and made as comfortable as possible with the use of adequate anaesthesia. Speak to us today about your wisdom teeth. Generally, wisdom teeth should be removed in later teens or early twenties, but there is no specific age by which a person's wisdom teeth should be extracted. The younger a person is when they have their wisdom teeth extracted, the fewer complications they experience. A dry socket is caused by premature loss of a blood clot in the empty tooth socket and is one of the most common problems people experience following dental surgery. This seems to occur with a greater frequency in people who smoke, drink alcohol, or are taking birth control pills. While both jaws can be affected, it occurs more commonly in the lower jaw on the third to fifth day. Patients may notice a pain starting in the ear radiating down towards the chin. Contact us to find out the best way to alleviate the pain and prevent any infection due to food particles getting trapped in the "empty" tooth socket.